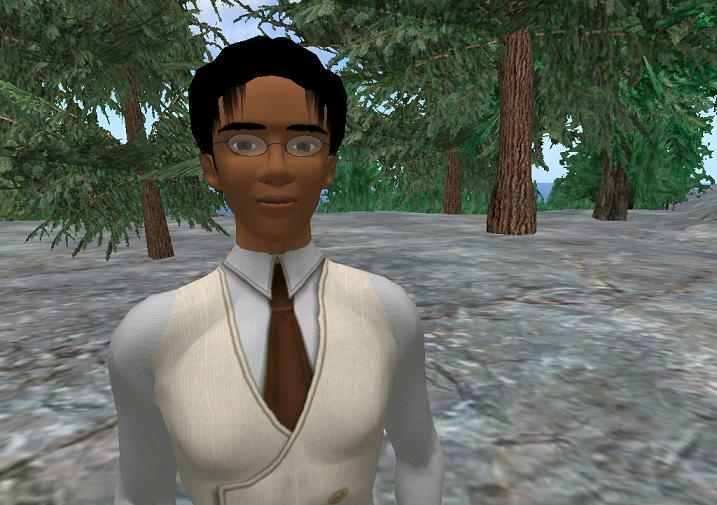 Nine years ago today, a rather geeky avatar with the name of Desmond Shang officially opened a sim called Caledon with much frivolity and festivities. It was different from other areas of Second Life, Victorian steampunk in design with a covenant to keep it in theme and apart from the hodge podge and patchworked chaos that typified much of the grid at that time. The sim filled quickly and a waiting list formed. Soon there were more sims and a micronation was born with “Guv’nah Shang” as its land baron leader. The rest is virtual history as they say. I wasn’t around in those early days. I discovered Caledon sometime in the fall of 2008. It was so vast, I immediately misplaced myself but in doing so, fell in love with the community, the theme, the builds, the ingenuity–you name it, I was utterly enchanted. When my initial home sim in SL closed its doors, I knew where I would be settling next. I have never questioned that decision in the six plus years since. Having a virtual home in Caledon pulls you into an odd type of family. There are certainly a number of standing traditions as Caledon has been building its community history since day one. For someone unaccustomed to these traditions, the existence of founders plaques, seals, letters of marque, Caledon roses, mushrooms, cavorite chunks, pounds, etc. may seem silly, but for those who are ingrained into the community, these become valuable treasures–bits to remember the history of the community and where they were within that history. Newcomers may be confused by the plethora of animal images or personae–bunnies, dodos, catgirls, tinies and other “cultured furs” or knights, princessas, dukes and duchesses, captains, barons and baronesses, etc.–but most long-term Caledonians understand and appreciate what these personalities and segments of the population have brought to the nation, both in terms of the community and its infrastructure. As a “family,” the relationships are not always perfectly harmonious. Along with the laughter, fun, and collaborative magic, there have also been the “dysfunctional” moments–friendships shattered over a Caledon rose (who found it first or didn’t, etc, etc) or the “stealing” of guests from one ball or party to go to another; neighbors moving out because of bird sounds “invading their parcel,” a shadow falling from a parcel nearby, garish holiday decor, a better draw distance suddenly showing storm clouds coming into view where none was visible before; and too many rage quits to count. And yet, here we still are, the Independent State of Caledon, turning nine years of age. Upon anniversaries, our tendency is to look back at history and talk about all the “good ole days” and maybe gaze forward and dream of the future. I enjoy delving into Caledon history possibly more than most. The founding of such a micro-nation and it’s living community is a fascinating topic and I’ve spent hours reading through the old forums and wiki. Imagining the future and the potentials also has its place–without dreams and goals, it would be all too easy for such a community to shrivel and die (and we’ve seen all too many virtual communities do exactly that). That said, I’ve recently come to the realization that too much of doing either does a disservice to those who are active in the community in the here and now. To all who are now active in the Caledonian community, currently writing what will be part of our communities history and memorable moments, I salute and thank you. Thank you to Des and Kami for being hanging in there for 9 years of what must have, at times, seemed to be barely managed insanity. Thank you to those original residents, without whom Caledon would not have bloomed. Thank you to all of the EMs over the years who have volunteered their time and energy and put up with much nonsense with very little appreciation–you helped keep the nation safe, many times without any acknowledgement. Thank you to Carl Metropolitan and the many Oxbridge deans, professors, mentors, and tutors. While Oxbridge is, in many ways, it’s own “animal,” I cannot fathom what Caledon would look like without Oxbridge being a part of it. Your work has added a depth that cannot be ignored (and allowed me to complete my Ph.D. work so THANK YOU!). Thank you to Excalibur Steamlander for providing a place on the web to keep the history alive and also thanks to all those writers, bloggers, reporters, etc. who have dedicated their time and talent to cataloging what it is to be Caledonian. Thank you to the myriad of event planners and sponsors over the years for helping create many many fun shared memories. Thank you to Team Caledon’s organizers and planners, builders, team members, and all-around cheerleaders for the amazing yearly efforts put towards RFL in SL. Thank you to the builders and scripters whose work continues to amaze and delight, sometimes with unintentional and awe-inspiring grandiose bungles. Thank you to the countless group owners and leaders who somehow manage to organize Caledonians and other Steamlanders periodically for events (I realize that at times, it’s much like herding cats). Thank you to our “sister nations”–Winterfell, Steelhead, New Babbage, Marikesh Mondrago, etc.–for being an extended family. And finally, thank you to those who are active in the community right now–I hope to know you for years to come. I am privileged and blessed to be amongst you. That supply of cavorite is getting scarce, though, now that the mine has closed. Hey, check out the cheeky history of Caledon from Aev!